Let me show you what fake Japanese are! They’re Koreans. | Hey, you know what? ホーム > スポンサー広告 > Let me show you what fake Japanese are! They’re Koreans.ホーム > Korea > Let me show you what fake Japanese are! They’re Koreans. Let me show you what fake Japanese are! They’re Koreans. It might be very hard for westerners to distinguish between real Japanese and fake Japanese by their look or appearance. They use Japanese names and behave like Japanese when they do immoral or vicious things and or commit crimes. Let me show you their identity. They’re the fake Japanese. See the movie below, please. They’re Koreans. More than 5 hundred thousand Korean oriented people live in Japan. Some of them have naturalized as Japanese but their minds stay as Koreans and do not assimilate with Japanese tradition and culture which have been backed up by the Japanese Imperial History over 2670 years. Rather, they’re antagonistic toward Japanese even after the third generation. The problem in the Japanese society is that, as I said, earlier, a lot of them have obtained Japanese nationalities and insist their legal rights to depend on social welfare such as collection pension money and social support money without paying any taxes and or with no intention to work. Many of them have been elected as politicians without clearly showing their ancestral backgrounds and try to pass bills which are beneficial to their people and their original homeland, Korea. One of the bills that they’re trying to pass is to give a voting right to foreigners in local governments which makes it possible to establish their own autonomies in Japanese country. This is against Japanese constitution, of course. But they are ignoring it. Apparently they are working for them, not for Japanese nationals and yet paid by Japanese tax. We Japanese really have to stop illogical autocratic behavior as soon as possible. 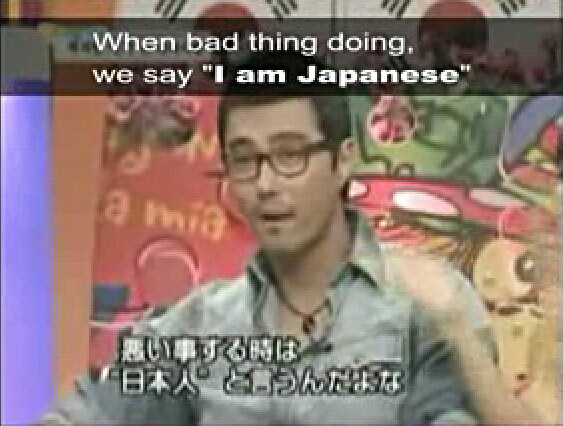 So, people of the world, please know the facts and the issues that real Japanese are facing. We no longer tolerate their stupidity and kick them out of Japan. What is the true face of Korea? Also see the movie below, please!